Cristiano Ronaldo believes Manchester United "didn't do much" to deserve their 2-1 win against Juventus in the UEFA Champions League on Wednesday and that his side would have wrapped up a comfortable victory if not for some wasteful finishing. Ronaldo gave the Old Lady the lead with a superb strike in the 65th minute, but the Bianconeri failed to add to their tally, and United battled back with two late goals: a free-kick from Juan Mata and an own goal by Alex Sandro. "I have seen the replay. I didn't realise it was a fantastic goal but I did good movement and I kicked it strong. "Manchester, they didn't do much in my opinion. They created two chances [from] set pieces. "I know the English teams, they are always looking for the set pieces, but we learned from our mistakes and we are still top of the group so we are good." Both sides had three shots on target over the course of the match, but in total, Juventus had 23 efforts compared to United's nine. Juve squandered a fair few chances before Mata's equaliser, but United were generally so much better than the first game. After Ronaldo broke the deadlock with his sensational volley, Miralem Pjanic failed to convert from several efforts on goal, and Juan Cuadrado blasted over from eight yards as Juventus pushed to kill off the game. 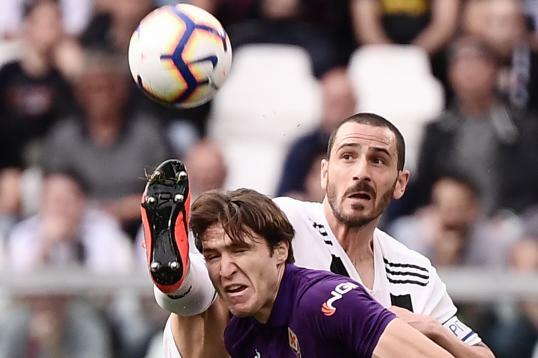 While it could have been a different story if the Bianconeri were more clinical in the final third, United did produce a much better performance than they did in their 1-0 defeat to the Serie A giants in October. Despite the narrow scoreline in the match at Old Trafford, the gulf in quality was something of a humiliation for the Red Devils on their own turf. Ronaldo may be unhappy with United's approach, but manager Jose Mourinho likes his sides to be pragmatic, and on Wednesday it came together. The win puts United in a much stronger position in Group H, as they are now second on seven points, two clear of Valencia with only the Spanish side and Young Boys left to play. As for Juve, they remain top on nine points and should be able to remain there. However, after scoring just twice in their two matches with United despite having many chances, there will be some concerns. If they want to go all the way in the competition this season, they need to be able to kill off their stronger opponents, or else it will prove costly—as it did on Wednesday.